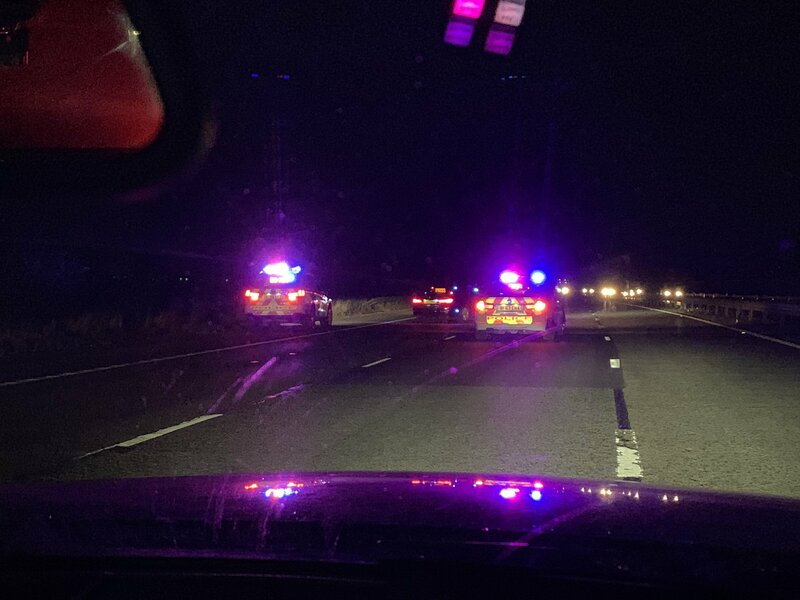 Over £50,000 has been seized and two people have been arrested after officers stopped a vehicle on the M6 last night (19 February). Officers from the Central Motorway Policing Group pulled a car over between junction 13 and 14 northbound at 8.24pm. A bag of cash found inside the vehicle, totalling to approximately £50,000, was seized. Two women, aged 56 and 28, both from Liverpool, were arrested on suspicion on of money laundering. They remain in custody while enquiries continue. This entry was posted in Local News, News and tagged M6, Staffordshire Police on 2019-02-20T22:33:29+01:000000002928201902 by NSTV News Team.